The Memorial Hall was erected in memory of those from the district who served in World War One. On Wednesday evening at 7 o'clock, the president of tho Bellarine Shire, Councillor O'Halloran. officially opened the new Memorial Hall at St. Leonards. The hall, which is a great attraction to the place, was erected by voluntary labor of the residents of St. Leonards. After the opening a successful and most enjoyable evening was spent in dancing. Music was supplied by Priddle's orchestra from Queenscliff. Supper was served by the ladies later, and dancing was indulged in until the early hours of the morning. Geelong Advertiser (Vic), 21 September 1926. The St Leonards community, like so many others, farewelled for the last time many sons who enlisted for service in World War I. 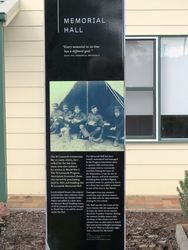 The St Leonards Progress Association honoured those who served by purchasing land in 1924 and building the St Leonards Memorial Hall. Locals helped finance the original construction, and a chimney made of bricks from the derelict Coffee Palace was added at a later time. An honour board detailing names of all St Leonards men who fought in World War I can still be viewed inside the hall. 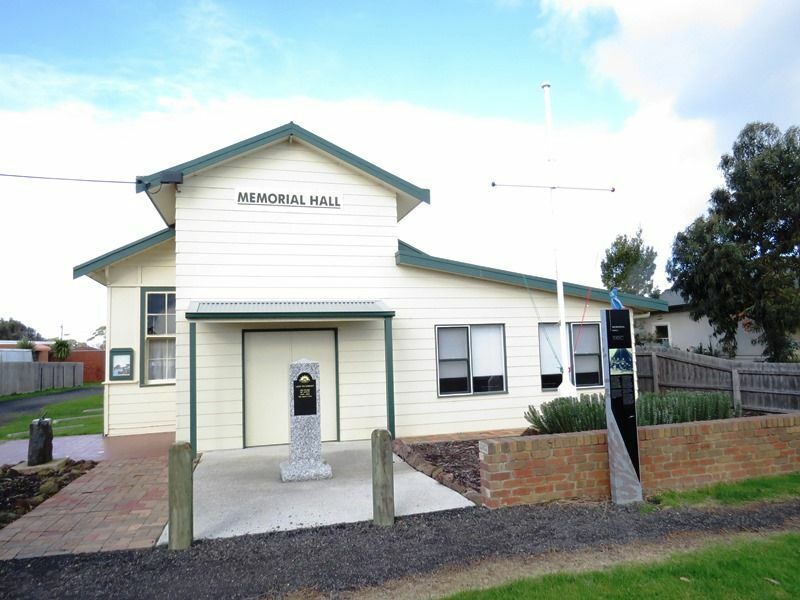 The memorial hall has been owned, maintained and managed by the Progress Association since it opened 1926, and has been a constant hub for community activities. During the years of the Depression, it was the site of many dances, and local musicians, including Stan and Bert Pidgeon, provided music for patrons to dance on a floor that was widely acclaimed as one of the best in the district. Passengers from bay steamers would also enjoy daytime dances at the hall with the ship musicians playing for the crowds. The hall was also the home of the local cinema with the opportunity to enjoy the latest movie releasles shown by Coastline Cinema. During the summer holiday season daily showings of film classics and new releases were an alternative to beach days and special midnight screenings of `horror` films on a Sunday night were a feature for the brave !